Xiaomi Mi Max 2 comes with 6.44 inches IPS LCD capacitive touchscreen display with 1080 x 1920 pixels screen resolution. It has 12-megapixel main camera on the back and 5-megapixel front camera for selfies, featuring with Two-tone flash, PDAF, autofocus, Enhanced low-light photography, HDR adjustment, technology, Panorama mode, Burst mode, Face recognition, Real-time camera filters. Xiaomi Mi Max 2 Mobile Price BD is 26990 taka. Xiaomi Mi Max 2 powered by 4 GB of RAM and Octa-core 2.0GHz processor. It comes with 64 GB internal storage which upgradeable up to 128 GB by a standard MicroSD card. This smartphone supports Micro + Nano Sim. The smartphone has a Non-Removable 5300 mAh Li-Ion battery. Talk time Up to 57 hours and music play by time up to 10 hours Xiaomi Mi Max 2 operated by Android 7.0 and no java supported. The dimension of the phone is 174.1 x 88.7 x 7.6 mm (Full metal unibody) and gross weight is 211 gram. This smartphone comes with two beautiful colors Gold, Black. BeiDou positioning, Infrared, Gyroscope, Accelerometer, Ambient, light sensor, Hall sensor, Fingerprint sensor, Proximity sensor available on this smartphone. Hope you are satisfied with our Xiaomi Mi Max 2 Mobile Price BD, specifications & reviews. 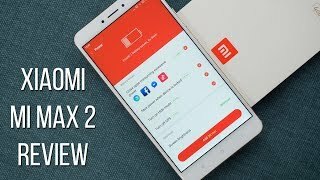 If you are one of the user of Xiaomi Mi Max 2 please don’t forget to drop a review by the above reviews tab. It is very important to us to know the performance of the smartphone.